From most angles, this set of steps resembles any other staircase. 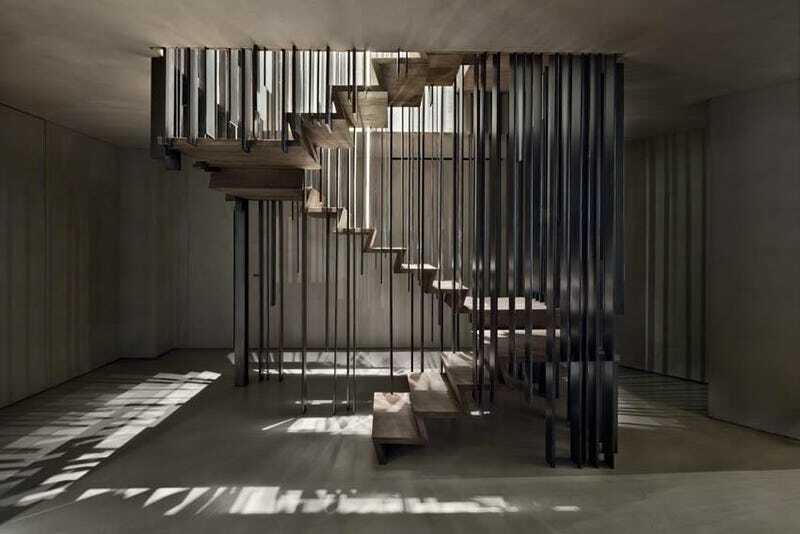 But relocate to a specific spot in the room, and the stairway becomes enshrouded by its supporting beams. This imaginative twist on perspectival anamorphosis was created by Milan-based design studio Storage Associati. Anamorphic illusions come in all shapes and sizes. Some are small enough to fit on a table, while others take up multiple city blocks. This staircase falls somewhere in the middle, on a scale similar to that explored by anamorphic artist George Rousse.